Day 2 commences with only Nick, Leonieke, Givens, and Gillespie inside of Studio A. The instruments and mics in the live room and isolation booth are still intact from yesterday's session. While everyone sits in the control room, Nick asks Gillespie to playback "Please Send Me Someone To Love." The balance between the three instruments, as well as the strength of the individual performances, is striking. Nick and Givens agree that it was an excellent take. Nick then calls for Farber's solo on "Brother, Can You Spare Me A Dime?" He notes that the element of "frustration" in the improv goes well with the lyric. "Don't delete that one," Givens jokes, looking at Gillespie. Even though Nick loves Natasha's vocal and Farber's solo, he wants to take another crack at "Brother." Call it a willingness to stay open and explore all possibilities, rather than dissatisfaction with anything thing he hears. Nick expresses concern about his own efforts on "You And The Night And The Music." He likes the "edgy quality" of yesterday's take, but wonders if his drumming is "too much." Everyone assures Nick that his playing isn't overly assertive. Back in the live room, Nick sets up a conga in anticipation of recording the African American Spiritual, "Wade In the Water." Gillespie follows with a mic specifically for the drum. The arrangement of the songdevised by Nick and Leoniekeis, in part, comprised of two different bass lines, one a Montuno rhythm played by Leonieke's left hand, and the other executed by Givens' upright bass. Eventually it evolves into a swinging blues in D minor. The immediate concern is deciding on a suitable tempo. Instead of moving to resolve the issue, Nick offers a temporary diversion by suggesting that they play the theme song from a recent James Bond movie. "Just something for the future," he says with a smile before the three of them casually run down the tune. After resuming "Wade In The Water," Nick makes a brief trip to the control room to check on how a cymbal he's added to his drum kit sounds in a playback. 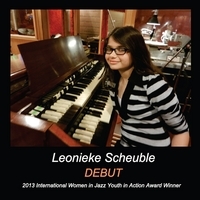 Leonieke uses the down time to play a slow blues. When Nick returns he asks her to avoid trying to replicate the tempo for "Wade" they've rehearsed at home. "Go with the tempo you feel like playing today." After the first take, Givens suggests that they do another, "just for fun." When Nick makes a joke about his obsessiveness when it comes to detail, Givens quips, "How do you buy a car?" The easy rapport between the three of them bears an uncanny resemblance to a rehearsal in the Scheubles' living room. The second take highlights the delicious disparity between the Latin and swinging blues elements of the arrangement. Leonieke offers a keen contrast in dynamics when hard, authoritative chords rapidly yield to lower volume single notes. Leonieke's solo piano on "Georgia On My Mind" requires some mic adjustments. While Gillespie makes the changes, Nick snaps some photos of Leonieke at the piano. Since this combination of mics is particularly sensitive, Gillespie asks Nick and I to leave the live room. Leonieke plays the first and only take. Back in the control room she's satisfied with the playback, and Givens adds his approval. Nick briefly talks about feeling "beat up" after yesterday's session. Though he never shows any outward signs of the pressure, it must be taxing to juggle the demands of making music in a studio environment while attempting to produce takes that sound fresh and spontaneous. 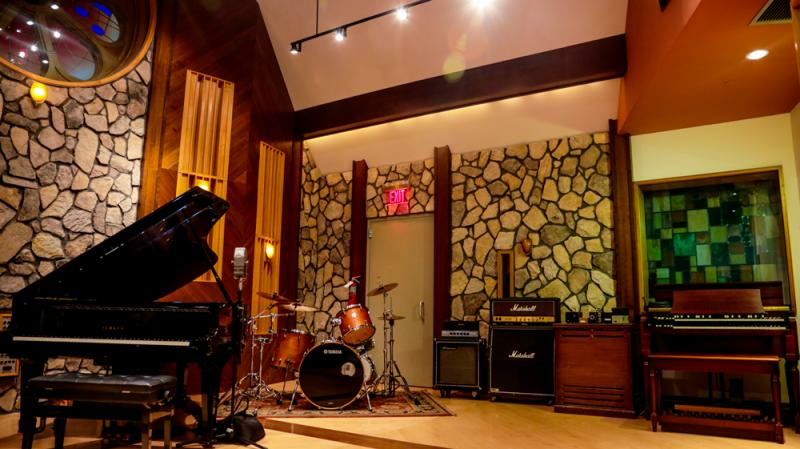 Back in the live room, they make quick work of a successful take of Horace Silvers "Nica's Dream," and a rewarding return to "You And The Night And The Music." The feeling of the Scheubles' home that's been in the air for most of the day is made complete when Theresa, Natasha, and Max enter the break room with food. For awhile all of the decision making and effort that goes into producing the record is put on hold in favor of some family time. Displaying the concentration and attention to detail that characterizes his father's and sisters' artistic endeavors, Max is busy creating a large drawing of a dinosaur which includes spelling out the word "dinosaur" several times, followed by groups of four or five numbers. Today's topic of discussion is both speculative and practical: In terms of improving one's skills in a given endeavor, is it better to dwell on strengths or weaknesses? Pros and cons of both approaches go around the room. Theresa speaks to concentrating on strengths as a means of extending and developing them to the fullest.